Back when I was learning guitar most people learned songs by ear. Perhaps if you got stuck on something you would ask a mate who was better than you, maybe sneak a look at the sheet music in the local store or get a lesson from a teacher, but mostly learning songs was done on your own, with the tape player. When I started it was vinyl records, a real pain to transcribe from. I still have my copy of the Rolling Stones LP Rolled Gold which has been ruined by me dropping the needle on and off trying to steak licks! But 'kids these days', with tabs and all these video lessons... they got it easy... too easy in fact, and it's my opinion that something real important is being lost. The ability to work out songs by ear. Learning to transcribe on your own is not easy. It takes time, but as far as I can tell, the things with the most value are the things you work hardest for - and the skill of transcribing is an awesome one when you have it! Because I have been teaching (and preaching!) 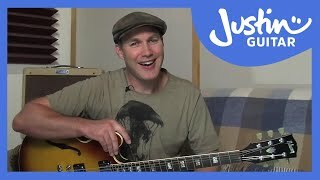 this stuff for so long, I know that many people find it very hard to get started, and is the reason why I made a course which gradually progresses in a way that should enable most intermediate guitar players to learn this essential skill. I highly recommend that you buy the Transcribe! software, I use it almost every day - perfect for working out songs and also for slowing them down a bit when you practice along with them too! You load a song in and then you can change speed without changing the pitch and add filters to help you hear things more clearly. Great too! We're going to start real simple, let you build your confidence and ability to transcribe on your own. I'm going to be giving you a LOT of help when we start and gradually make it harder and harder and introduce you to real-life examples!! 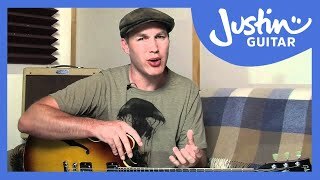 Before starting this course I suggest that you complete the Intermediate Method Foundation at least half of the first Blues Lead Guitar Course, which covers some lead guitar skills and bending which are both used. Please read through the lessons carefully, many of the common problems come from not correctly understanding what to do and how... so take it easy, be both focused and relaxed... and enjoy the journey! What happened to the PLUS packs you used to sell? When I remade the site I decided to give them away rather than sell them! 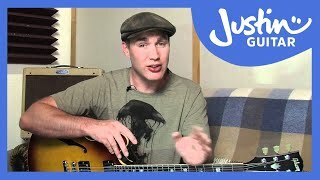 If you only play acoustic guitar you should still be able to do most of the course, the string bending will most likely be too difficult and you will skip over it, but all the rest should be fine. 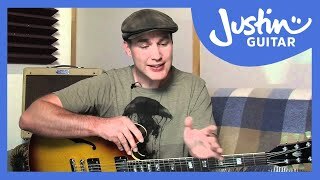 Because the guitar will sound quite different tonally it might take some adjustment, but they are just notes and can be moved from any instrument to any other!! In fact, part of the course will be transcribing some piano!! I'm hoping to make a wide variety of tonal colours over the duration of the course, some kinda rocky, some acoustic, country, jazzy, bluesy a wide range because it shouldn't matter! I want you to develop your ears to the point that they will hear the notes regardless of the timbre of tone or style! I'm using a range of different programs to create the drums and bass, some real bass, some modelled guitar sounds, some real, some vintage, some new... really trying to mix it up so you get used to a wide palette of sounds. We'll even transcribe some other instruments later in the course! !